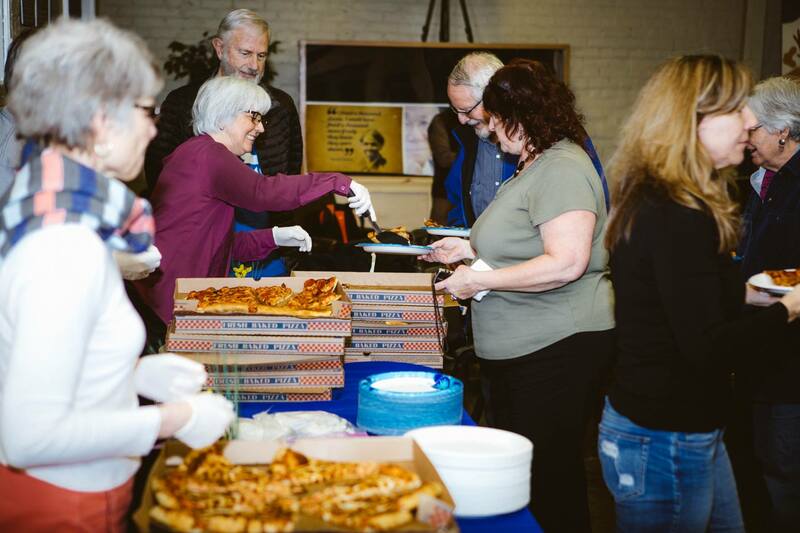 Over 100 enthusiastic county residents filled the Human Rights Education Institute for Pizza and Politics on Saturday, March 3. 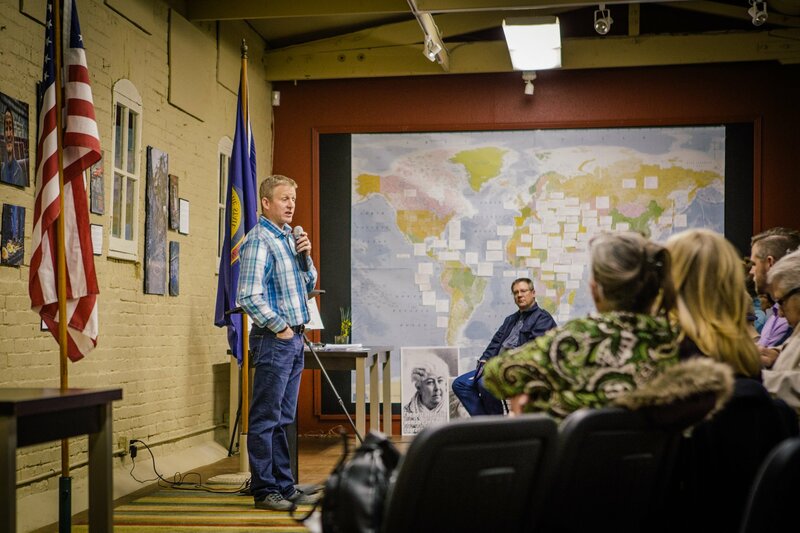 The annual gathering, hosted by the Kootenai Democrats, featured House Minority Leader and District 9 Representative Mat Erpelding. As the senior representative of House Democrats, Mat journeyed north to give an update on the annual legislative session. Accompanying Mat was Kelsey Dillon, and Shelby Scott. Kelsey and Shelby represented the Idaho Democratic Legislative Campaign Committee and the Idaho Democratic Party respectively. Together, the trio gave the audience a meal of consuming politics and some delicious pizza. First, Mat outlined the highlights and implications of the past year in the Idaho Legislature. Then, he spoke about some upcoming bills. 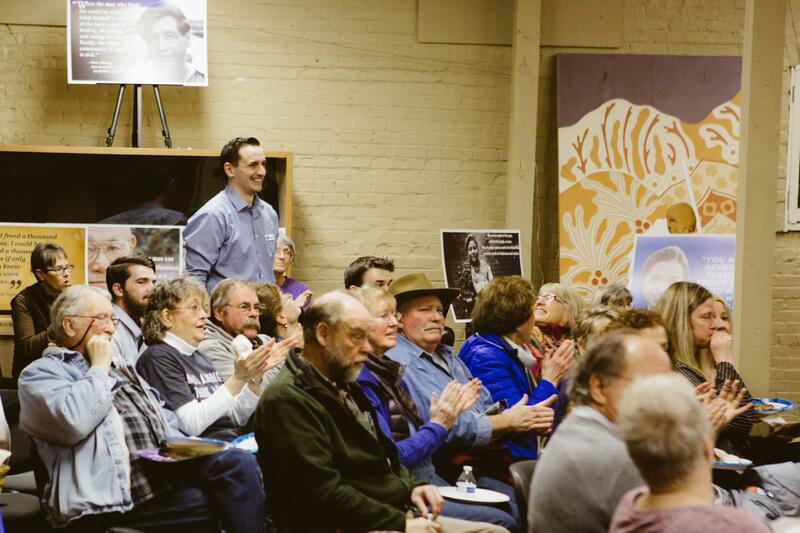 For example, Mat roused the audience with applause and shouts of approval when he shared that the GOP dominated House finally voted to approve the revised school science standards. This advancement came after 3 years of GOP resistance. In addition, a Family Planning bill, HB 572, also raised considerable interest. HB 572 is currently under review by the House Health and Welfare Committee. If passed into law, it would give low-income women access to important health and family planning services. According to Mat, the bill does not impact Idaho financially and would be of great benefit to low-income women. Not only that, it would also benefit the state by reducing unplanned pregnancies and improving birth outcomes. 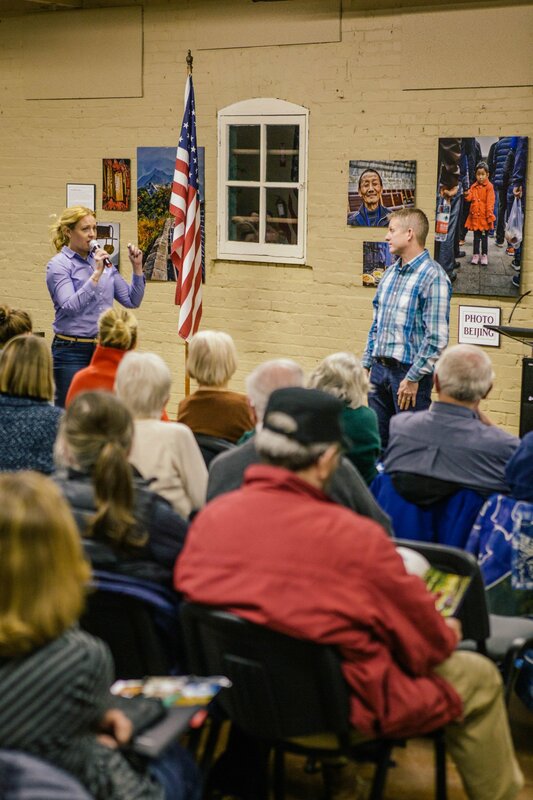 Therefore, he encouraged attendees to write a courteous letter to Representative Eric Redman, to persuade him to vote yes on this critical bill. Please take a few minutes to send a polite email to Rep. Redman at: eredman@house.idaho.gov. In addition to his legislative update, Mat also answered questions from the gathered crowd. Among the many topics discussed, the audience asked about upcoming legislation, the issue of gun control in the schools and school vouchers. While answering questions, Mat also voiced his support for the Medicaid Expansion petition and the importance of getting it on the November ballot. Toward achieving this goal, petition advocate Jessica Mahuron gathered 40 more signatures at the event. If you attended, you know how great it is to be in the company of like-minded folks. First, we are so grateful for the many friends who attended. Secondly, we want to welcome the many fresh faces who attended. We are delighted to add their names to our list of contacts. Also, we would like to thank the folks who registered to vote. And finally, we extend a big thank you to the team of volunteers who made the event such a success! Way to go Democrats!